Do you need advice on what to plant and where, or do you just want to know what is in your garden? Are you confused about how and when to prune your plants? We will walk through your yard with you and discuss your vision, desires and challenges. You receive immediate design solutions and on-the-spot advice for those challenging areas. We can recommend the right plants and provide a quick sketch to help you succeed. Choosing plants that will thrive in your unique site conditions and complement each other as well as your home can be a real challenge. Ensuring that their maintenance needs are within your capabilities and time restraints can be an even larger hurdle. Having a well-crafted plan can be a valuable time and money saver. Our designer will work with your needs and interests to develop a scaled landscape or garden plan that complements your home, reflects your style, and can be well maintained. You will receive a scaled design, a complete list of plants, and a quote from our Garden Centre. Our designer will work closely with you to help you through your garden transformation. Kelly completed her Technical diploma in Environmental Horticulture from the Nova Scotia Agricultural College at the top of her class and holds a business degree from Mount Allison University. She loves sharing her enthusiasm for plants and has given many talks and seminars for local garden clubs, including volunteering with the Hammonds Plains Area Garden Club for three years. Kelly is a member of the Atlantic Association of Landscape Designers. 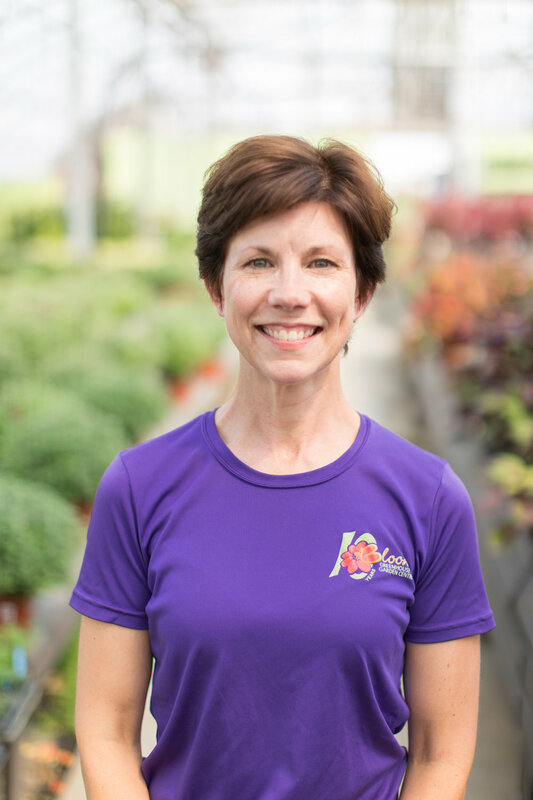 Kelly has been helping our customers choose beautiful plants for their gardens for ten years as a member of our senior management team. While she strives to design interesting gardens with lush layers & rich textures that reflect her clients’ unique style, she especially enjoys working with new gardeners to help uncover their passion for plants! Contact Kelly Now and get started on your own garden transformation.